Prince George's County police officers descended on a Home Depot parking lot in College Park, Maryland, Thursday after an officer-involved shooting. Police Chief Hank Stawinski said a uniformed officer chased two shoplifting suspects out of a Home Depot in the 4700 block of Cherry Hill Road. 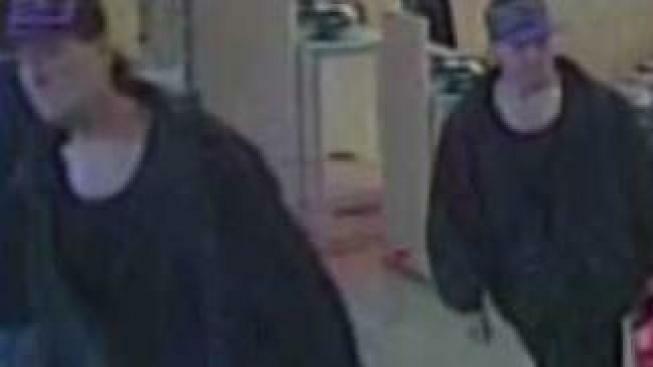 “Management identified two individuals in the store that, they believe, were in the process of stealing several hundred dollars' worth of items,” Stawinski said. The suspects abandoned a shopping cart full of high-end power tools in the parking lot and got into a getaway car. The car nearly struck the officer, who fired one shot through the windshield, according to police. “It’s clear by her actions on video that she is issuing orders, but she has drawn her weapon," Stawinski said. The car was found a few miles away, and the driver and vehicle are in police custody, police said, but they are still searching for two suspects. The suspects have hit the same store before. They are known to police and the store's management, which is how the shoplifting in progress was identified. The officer is a nine-year veteran of the force, Stawinski said.